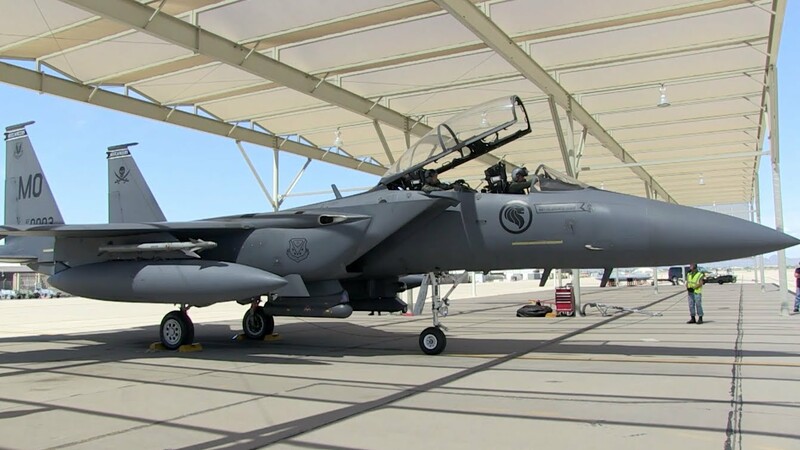 SINGAPORE, -- Singapore is eying Ohakea air base in Manawatu as a potential base for one of its own Air Force squadrons of F15 fighter jets. Up to 500 people would be stationed in or near the base in the region. Defence Minister Gerry Brownlee confirmed that the Singapore Government in undertaking a feasibility study to determine what the move would entail, including housing and education needs of family. That study needed to be completed before any proposal could be put before the Singapore or New Zealand Governments. Brownlee said that Singapore's position in Southeast Asia so close to Malaysia and near Indoesia meant that air space was very tight. "New Zealand doesn't have the same congestion so the opportunity to fly more freely clearly exists at Ohakea." The Singapore Air Force has other overseas bases, in France, the United States and in Western Australia's Pearce Air Base where a squadron is based. Brownlee suggested the benefits to New Zealand would be strategic and economic. "It would mean there would be up to 500 people based out of Ohakea in the Manawatu region so that has a big economic effect on the local community," he told the Weekend Herald. "But the benefit of strengthening the strategic alliance with Singapore is the most important aspect." Brownlee said there was deadline by which the proposal needed to be considered by but he expected that it was approved, could take a couple of years to establish. Singapore and New Zealand have a longstanding defence relationship. The New Zealand Army stationed a battalion in Singapore for 20 years until 1989. And both are members of the Five Power Defence Arrangement along with Britain, Australia and Malaysia. New Zealand's combat arm of the Ari Force was axed in 2001 by the Helen Clark-led Labour Government. Asked if the Singapore proposal might be a way for New Zealand to re-establish a combat arm, Brownlee said "definitely not." "It would be a Singapore operation entirely but based at Ohakea." He did not know how many aircraft would be involved but a squadron is usually between 12 and 24 aircraft. Singapore has F15s in New Zealand at present to take part in an Air Force Tattoo at Ohakea this weekend. The Republic of Singapore Air Force F-15SG Strike Eagle All-Weather Multirole Strike Fighter Aircraft.